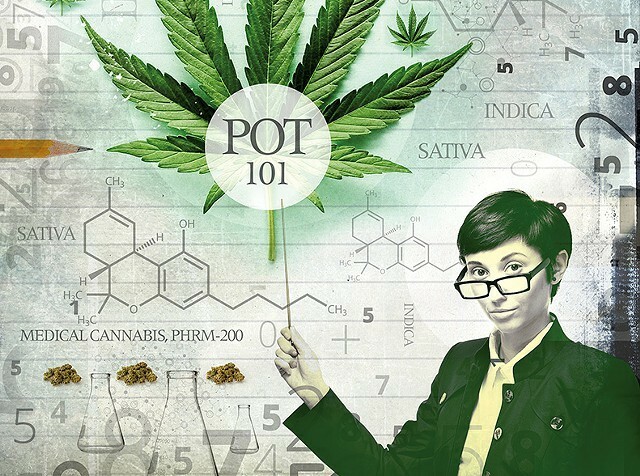 Earlier this year, the University of Vermont's Department of Pharmacology brought marijuana out of the academic closet by offering a comprehensive course on medical cannabis, the first of its kind taught on any American college campus. Now, the same team of professors who created and taught that class are bringing some of the content of "PHRM-200: Medical Cannabis" to a wider audience through an online speaker series that's free and open to the general public. The first of the five-part series was today. For more info and to register, click here. UVM first broached the subject of cannabis education last year by offering a one-day webinar, which drew more than 100 participants. This year's series, presented by UVM's Continuing and Distance Education and the UVM College of Medicine, begins on May 25, with follow-up lectures on June 8, June 22 and July 13. The featured speakers include Monique McHenry, a PhD-trained botanist and executive director of the Vermont Patients Alliance, a medical cannabis dispensary based in Montpelier; Karen Lounsbury, a UVM professor of pharmacology; Dr. Kalev Freeman, an assistant professor of surgery in the UVM College of Medicine and the medical advisor to the Montpelier dispensary; UVM pharmacology professor Wolfgang Dostmann; and Willy Cats-Baril, an associate professor in UVM's Grossman School of Business. As McHenry explains, some of the content of these talks will be the same as what was offered in this spring's medical cannabis elective, which some in the department jokingly dubbed "Pot: 101." However, unlike that course, which had several academic prerequisites in the life sciences, this version is meant to be more accessible to the general public. According to Freeman, interest in last year's webinar was huge. Despite no formal advertising whatsoever, about 40 percent of its participants lived out of state. Based on information they gleaned from the participants' online discussion, the audience included Vermont politicians, academics and medical professionals from around the country. 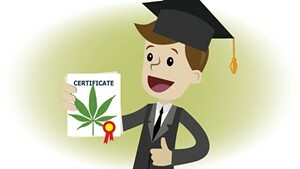 Currently, no medical school in the United States requires its students to learn anything about the therapeutic properties and uses of cannabis, which the federal government still lists as a Schedule I drug with "no accepted medical use." But, as Freeman points out, this creates an inevitable blind spot for physicians in the 24 states, including Vermont, and the District of Columbia that have since legalized the use of cannabis for medical and/or adult recreational use. Freeman and McHenry expect that this year's participants will also include a fair number of patients who are currently on their states' medical marijuana registries or are considering cannabis to treat their symptoms. One big area of interest during last year's webinar was the safety of these products, dosages and their potential interaction with other meds. Freeman points out that patients and medical professional alike want credible and agenda-free info from sources other than High Times magazine. 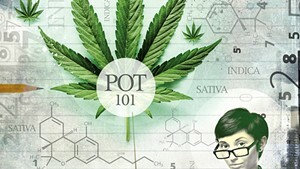 This fall, these same professors plan to offer, for a fee, an eight-part module series on medicinal cannabis. Ultimately, Freeman says that their goal is to get a similar webinar series approved for continuing medical education (CME) credits for physicians and other health care providers, and offer it as a certificate program for the nonmedical public. Correction, May 27, 2016: An earlier version of this story referred to Dr. Kalev Freeman as a professor. In fact, he is an assistant professor.